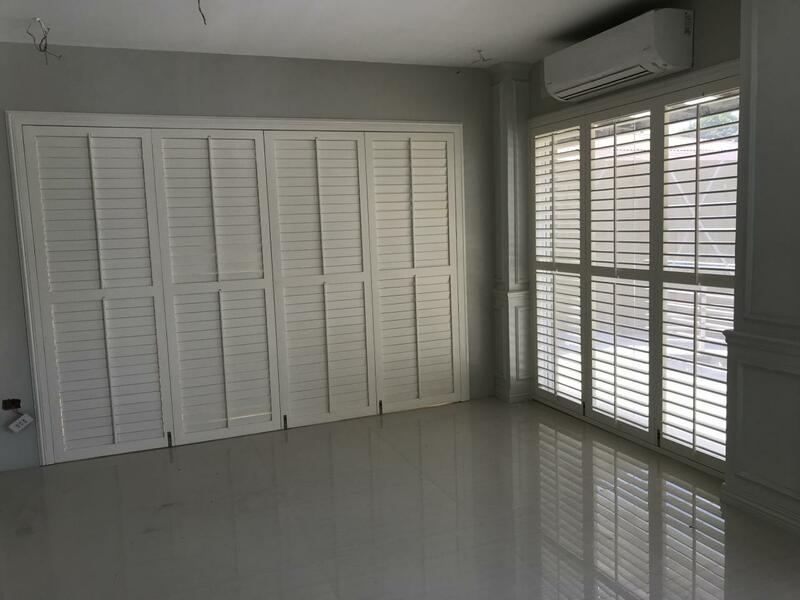 Consider if you are buying your shutters to be the focal point of your rooms’ decor or if you want the shutters to blend and be part of the overall ‘look’ of your room and home. 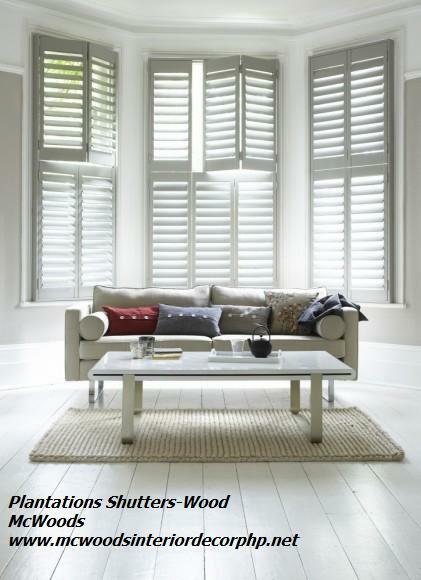 Are you buying the shutters for practical reasons (eg, to gain privacy or shield your furniture from the sun?). 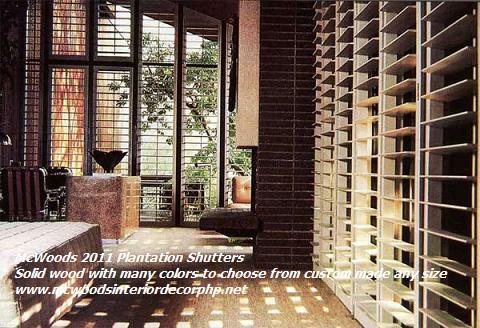 Both of these key questions should help guide you in the direction of the right path of shutter design. 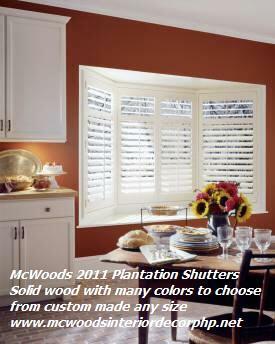 Strong, striking colored shutters can look sensational. 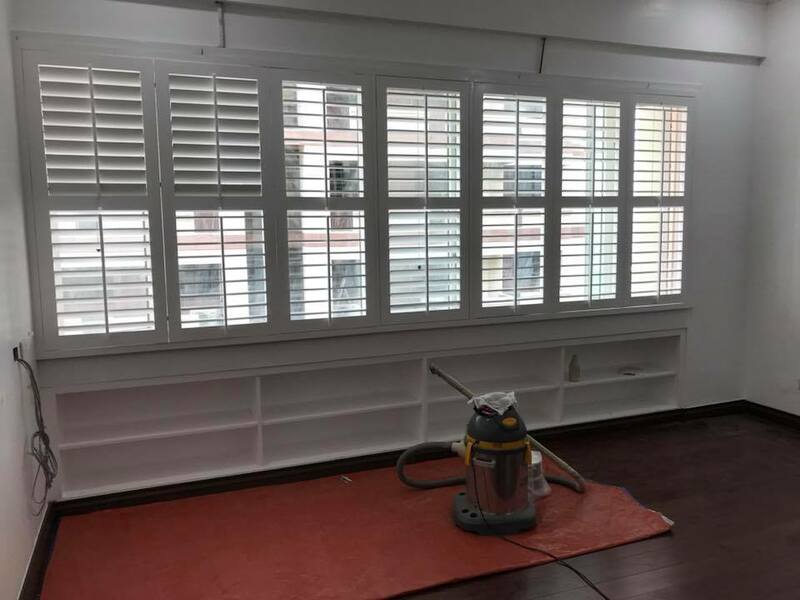 Vibrant blues and striking reds can look wonderful in the right setting, but if your room already have lots of items in these colors, installing shutters in the same colors could just be overbearing! 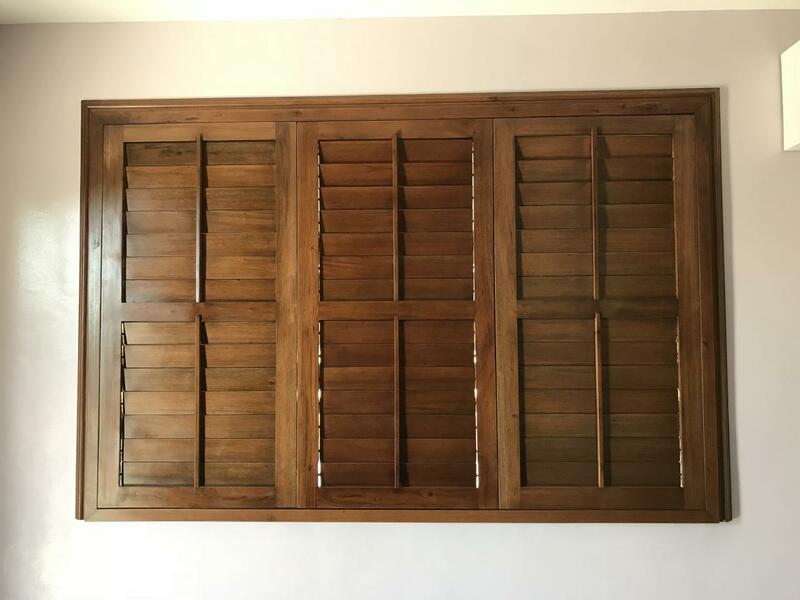 Similarly if you already have a lot of wood stain furniture in your home and are considering ordering shutters in a wood stain, this could detract from some wonderful furniture in your home. 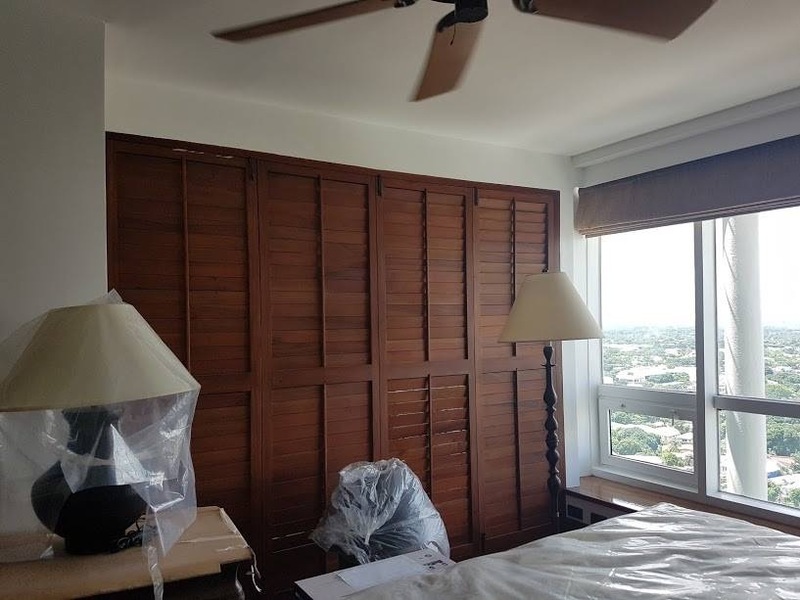 Remember – it’s always easier to repaint a red wall if you get tired of the color. Trying to repaint your shutter store shutters is not easy. 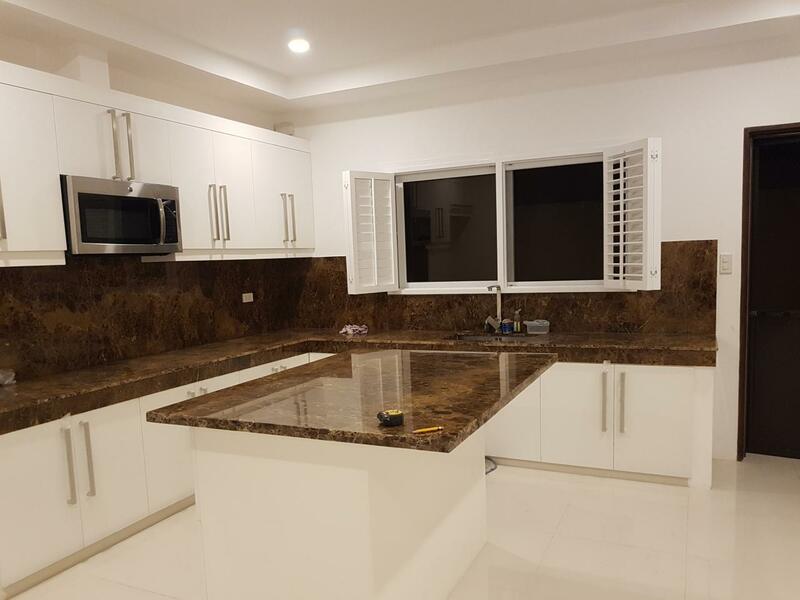 It can be done, but you won’t achieve the same fantastic finish. 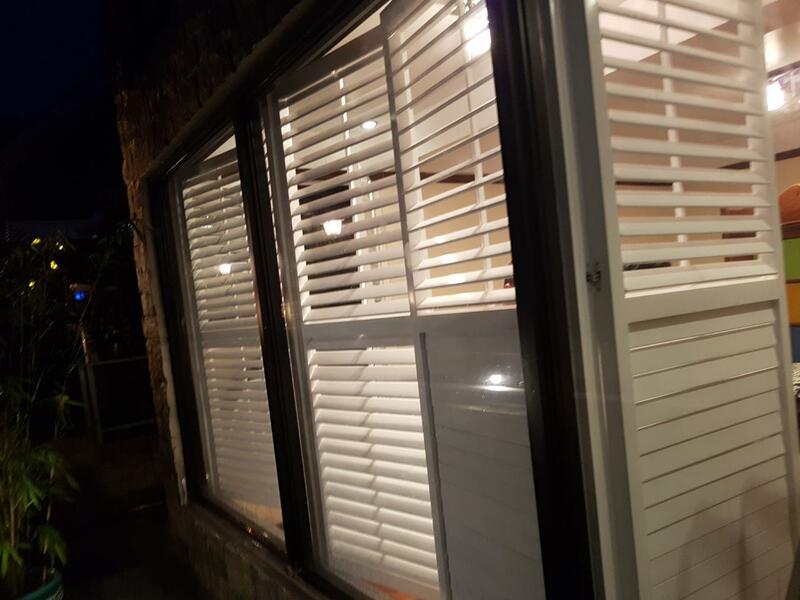 Read how a custom color for your shutters can make a bold statement or how larger 31/2” louvers can make your home something special! 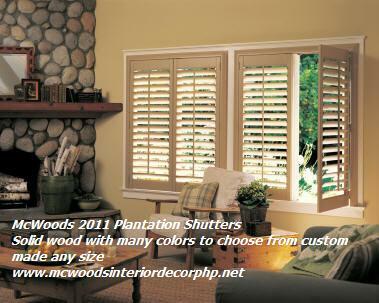 Outside mount applies to windows with no window recess or to windows which are inward opening. 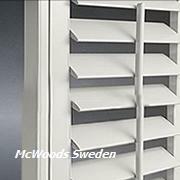 The most typical type of window requiring an outside mount shutter installation is a sash window. 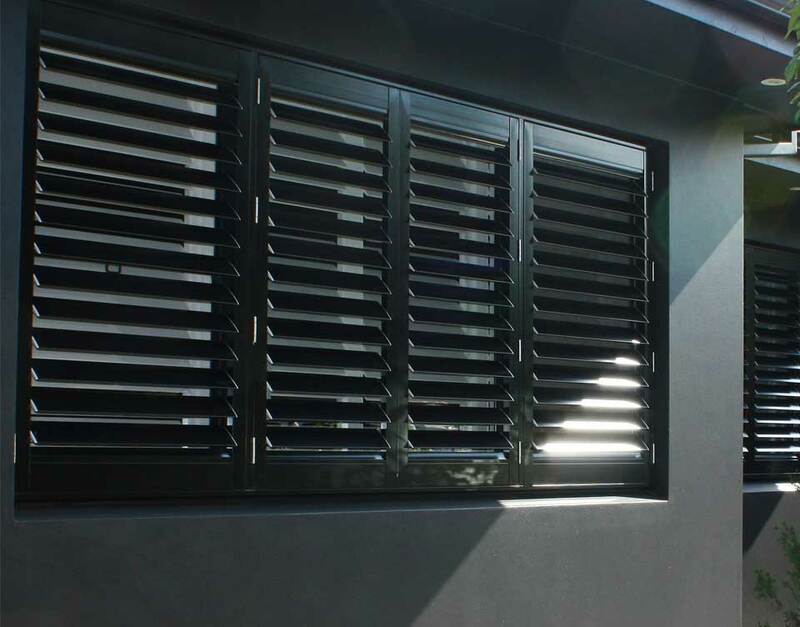 These are the windows that you often find in Victorian, Edwardian or Georgian homes. 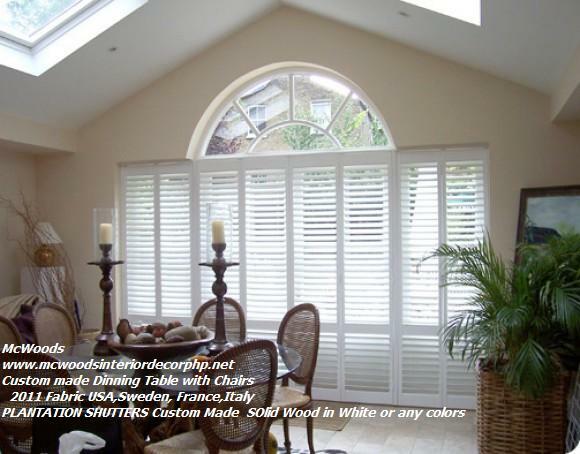 The photo here shows a sash window with an outside mount installation. 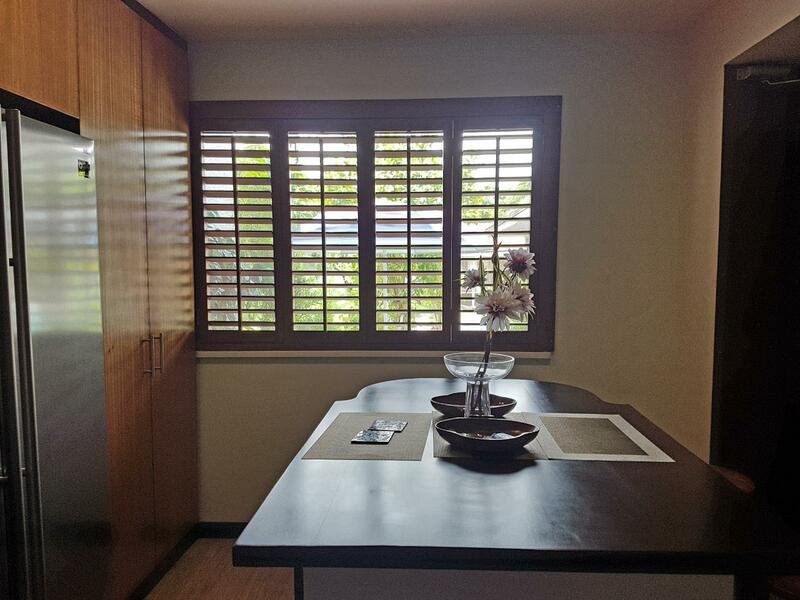 You can see the shutter panel is hinged within the shutter frame which is effectively surface mounted onto the window. 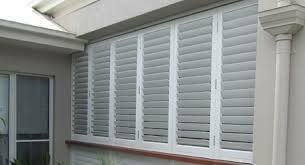 Outside mount is required when there is no recess or when the windows open inwards and would hit the shutter frame. Design wise, the same sort of factors need to be considered as with inside mount. Are you going to open the panels? If so, is there space for them to fold back? 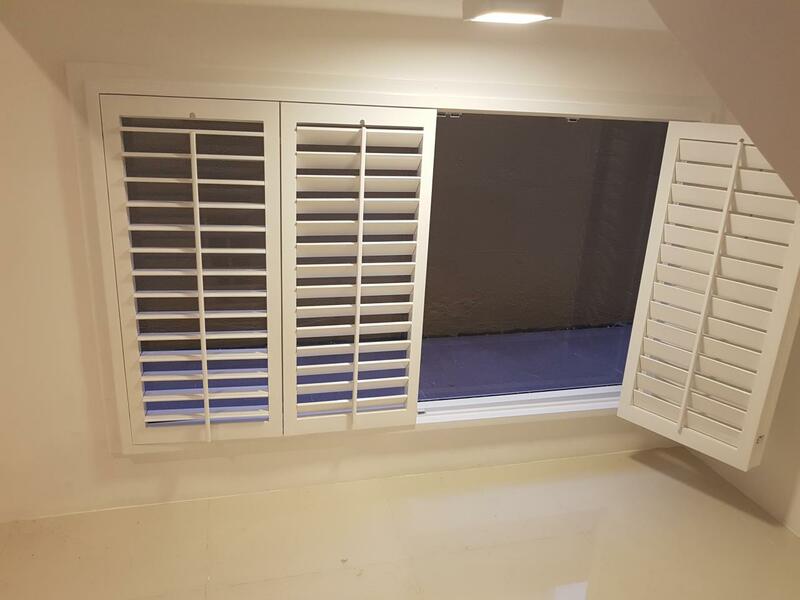 Go with narrower panels if opening the shutters on a regular basis and wider panels if leaving the panels in situ most of the time. 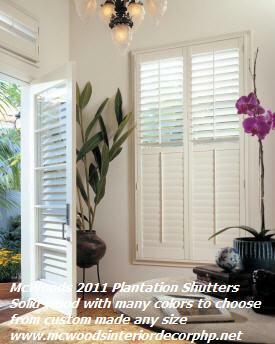 What's the right color for your shutters? 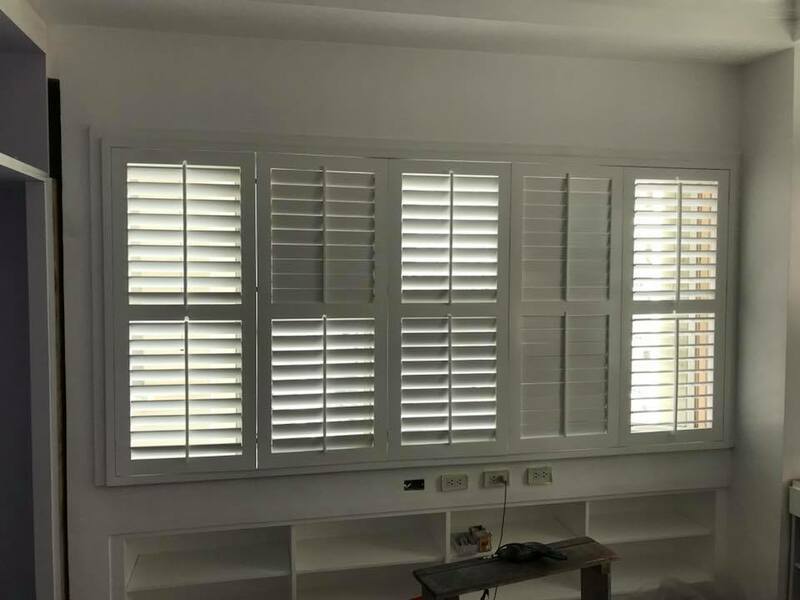 Why do you want shutters? 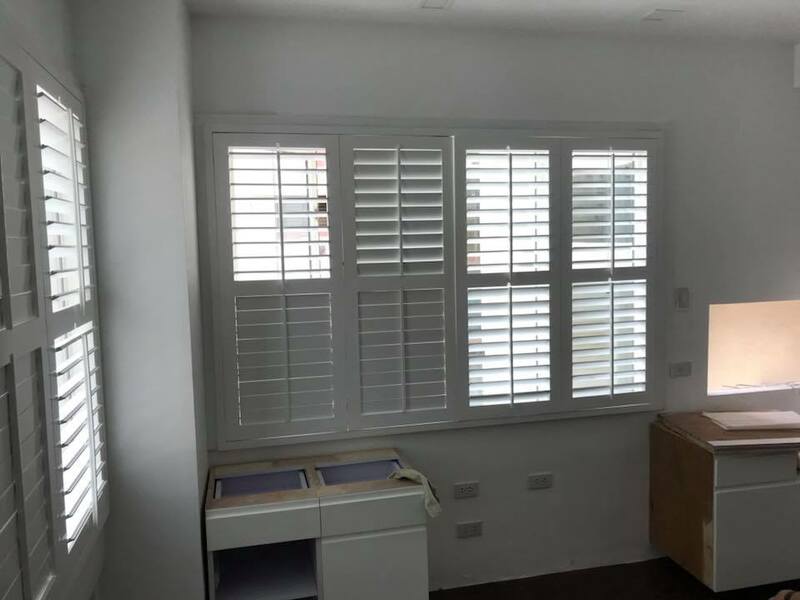 Shutters can be made to work in a host of different ways. 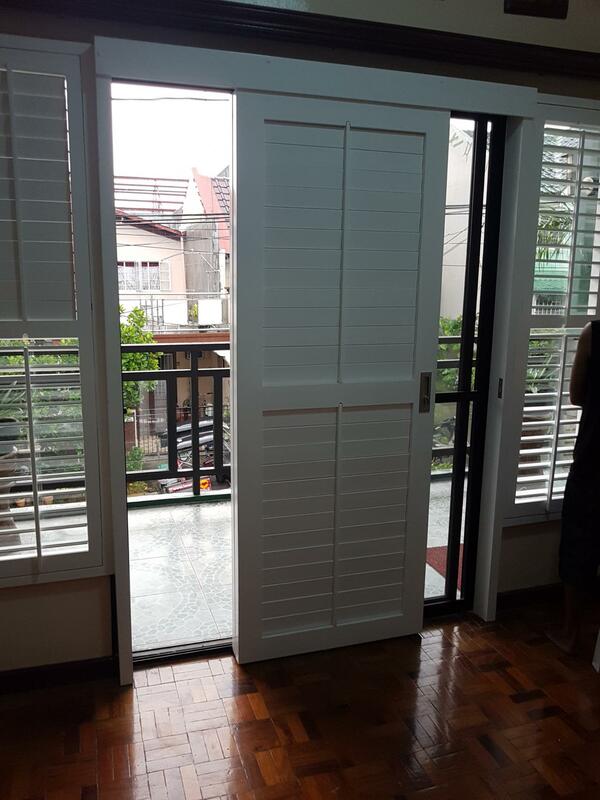 Half height shutters may be the ideal solution if you want privacy. 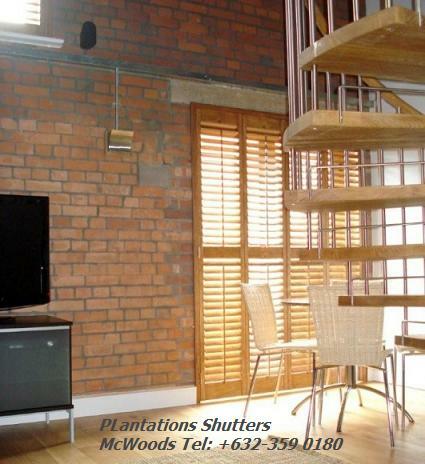 You may have a bad view, in which case you’re buying plantation shutters to hide what you see from your home. 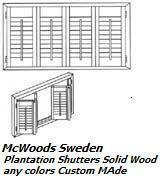 McWoods Shutters with a Purpose! 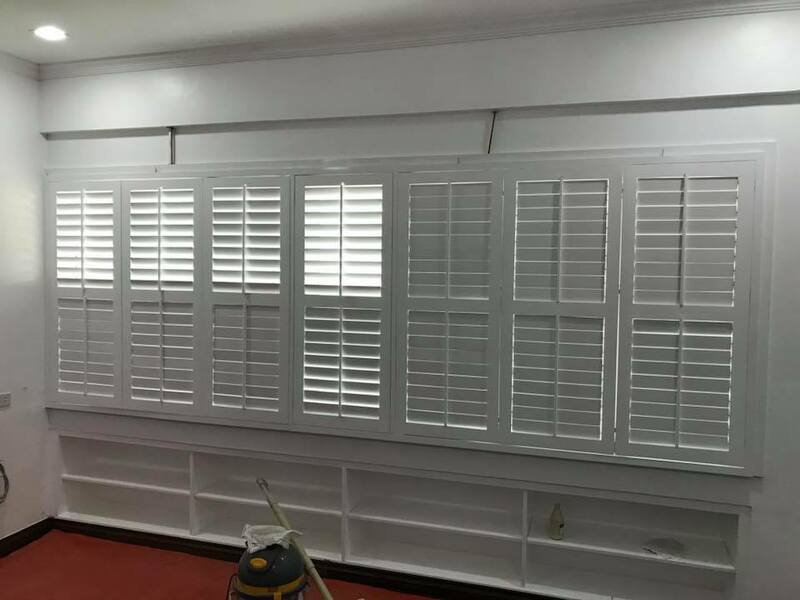 What do you want your shutters to ‘do’? Look good? Shield you from prying eyes? 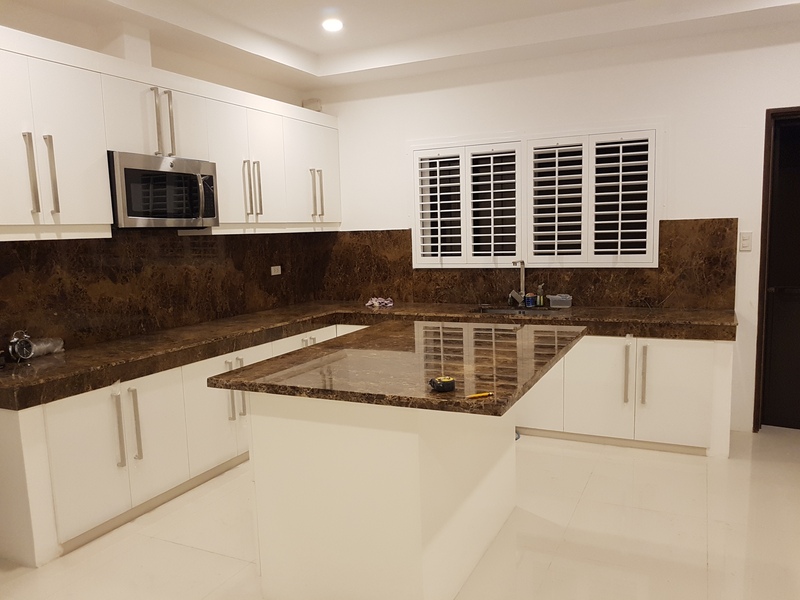 Hide an ugly view? Only you can answer that. However, the best thing to do, right now, is look at the window covering you currently have and ask ‘what is it doing’? 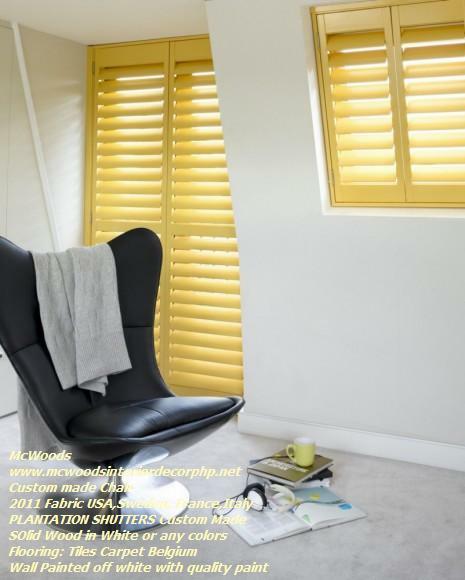 If you have blinds there and they are often left down, are you really likely to open back the panels of your shutters? 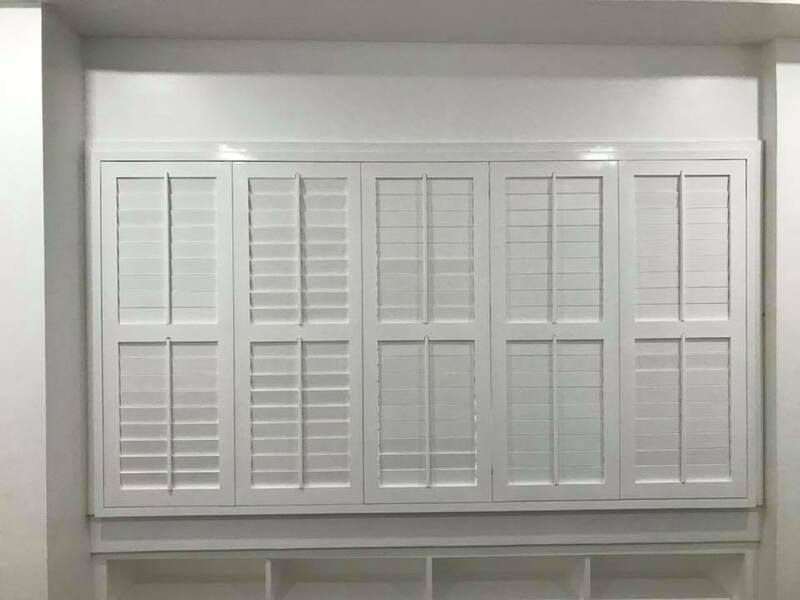 If the answer is not, why order lots of small, narrow panels for your shutters? 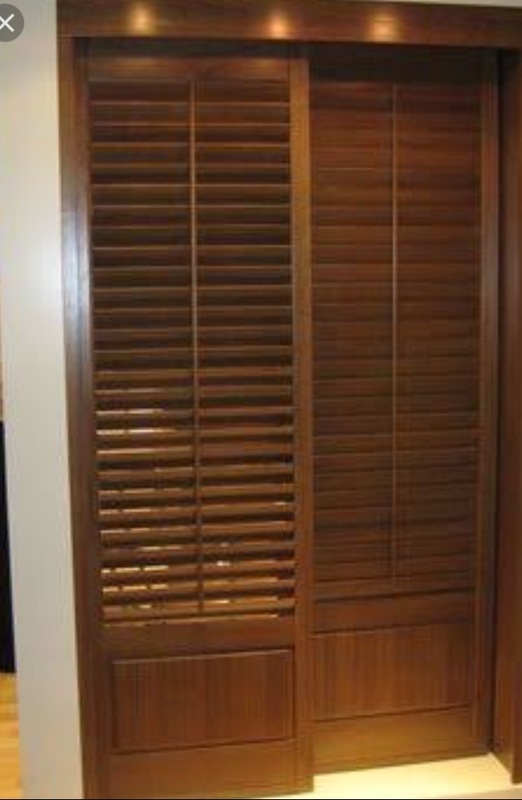 The only benefit to ordering small, narrow shutters is if you intend to fold back the panels on a regular basis. 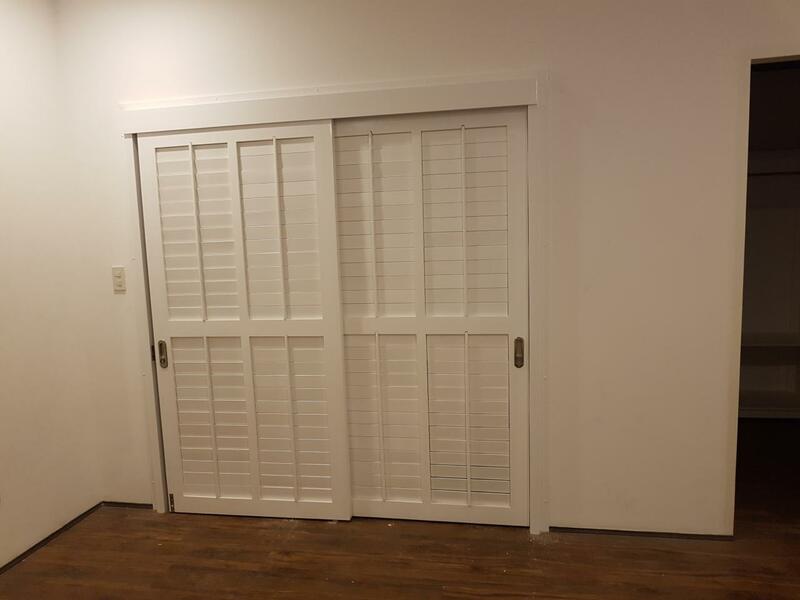 If leaving your shutter panels closed, wider panels work well as they let in more light and help make the room and your home feel more open. 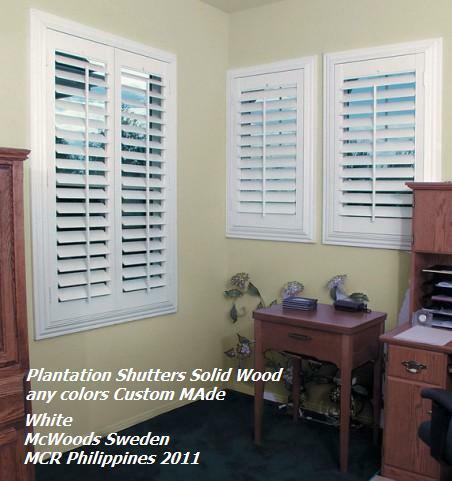 Your shutters – your choice. 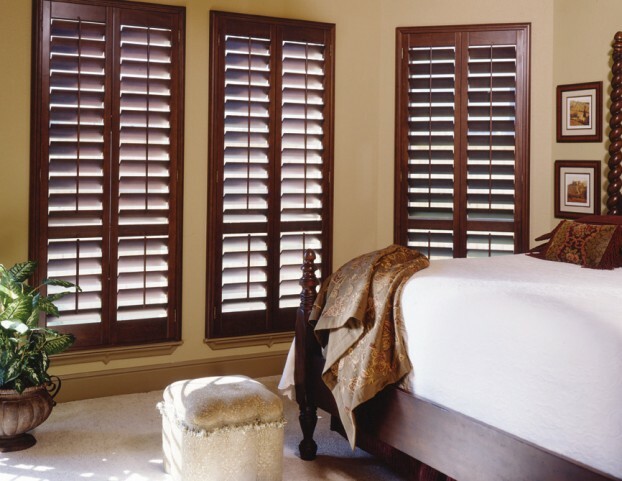 You decide which options work best for your shutters. If you need help, be sure to contact us. That’s what we’re here for! 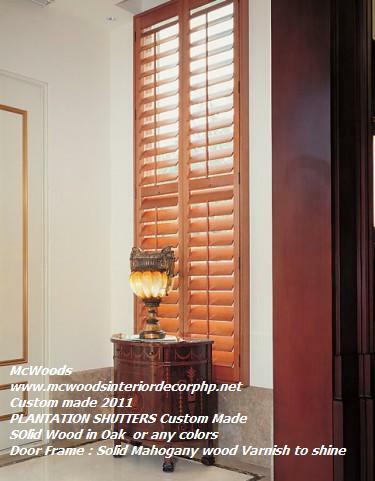 Where Should I Mount My Plantation Shutters? 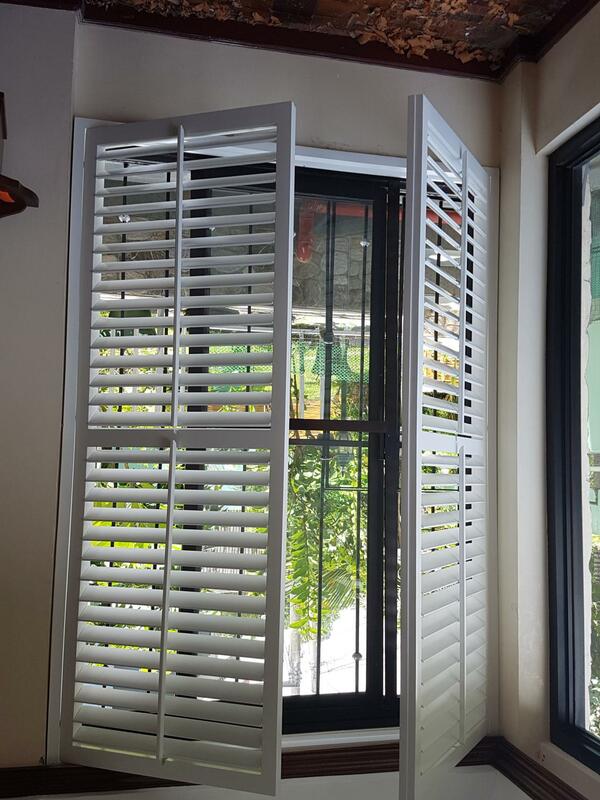 Our measure guides for shutters are very simple to follow. 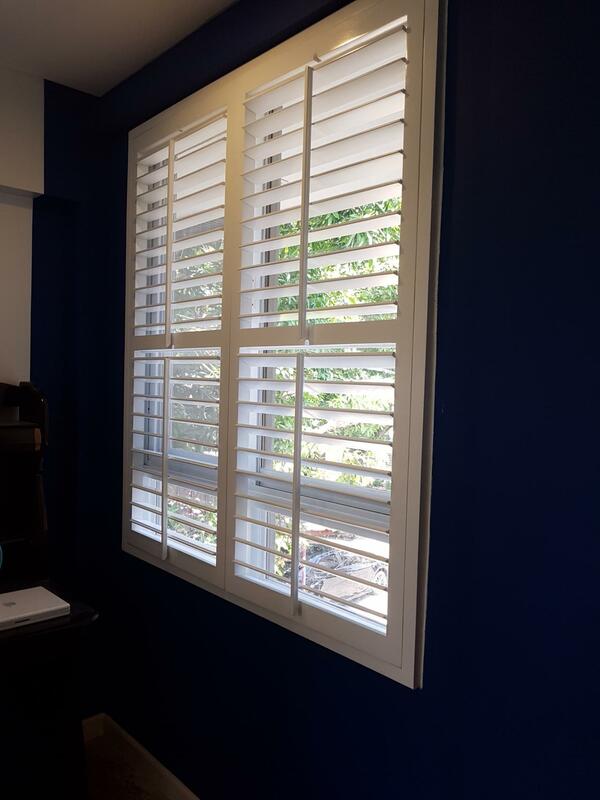 However you first need to establish if your windows are best suited to have shutters as an inside or outside mount. 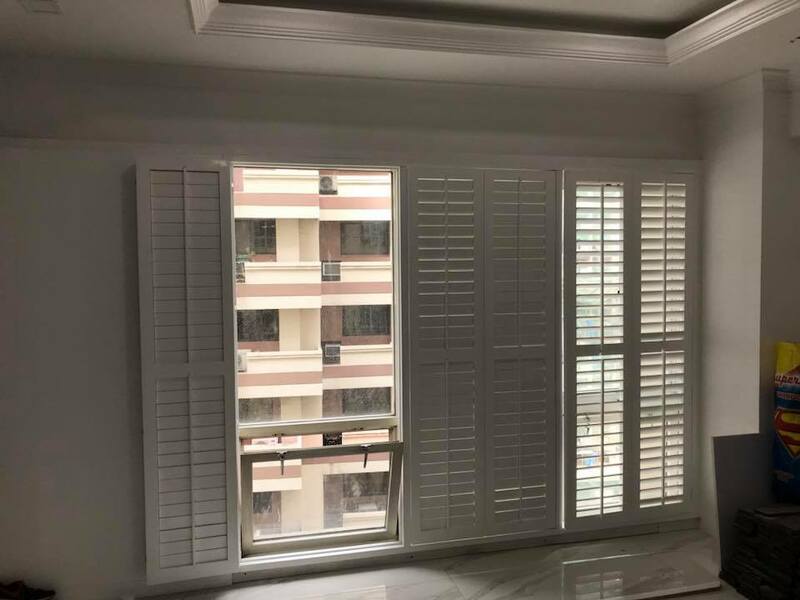 As you can see, there are 2 ways of installing inside mount shutters – either tight up to the window, inside the recess or inside the recess but flush with the internal wall. 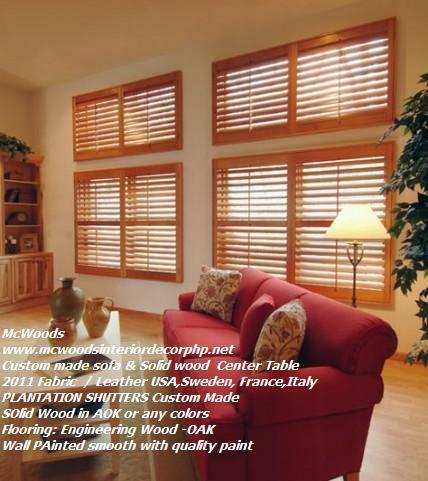 From a design perspective, your main consideration again, should be how often you will open back the panels. 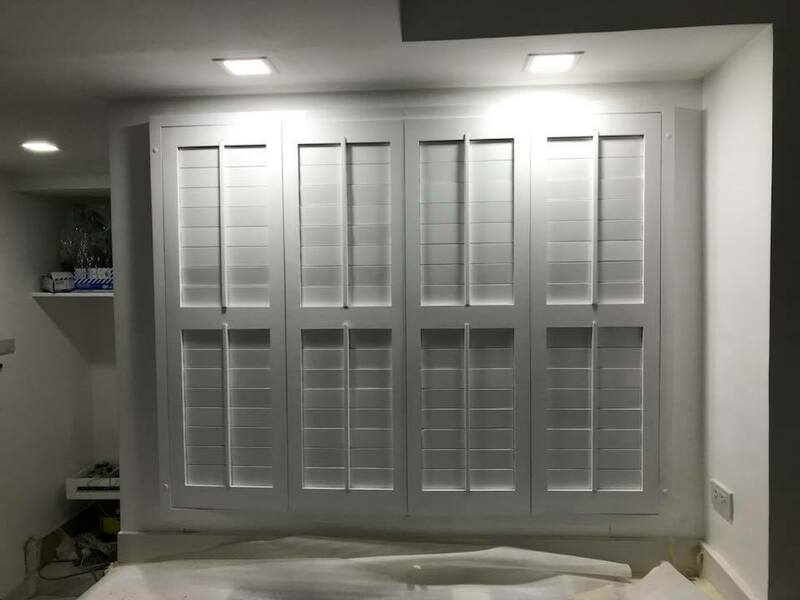 If mounting flush with your internal wall, the panels will have the ability to fold 180° flat back on the walls either side of the window. 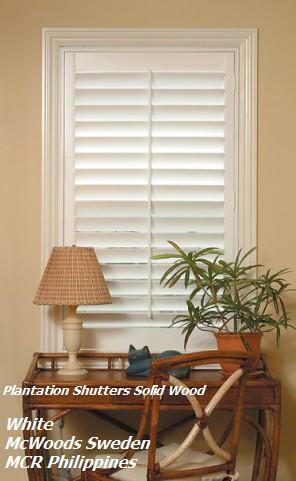 If mounting tight into the window, the panels will most often open and be restricted to a 90° angle. 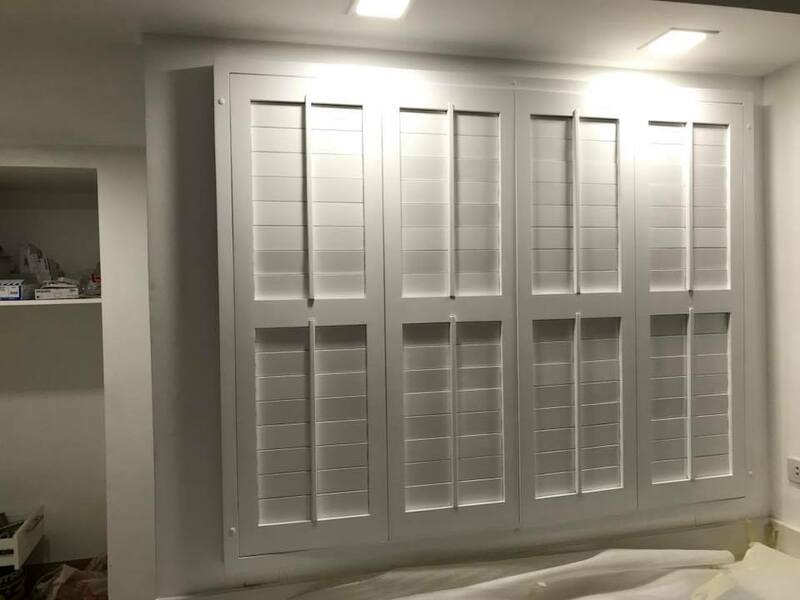 This may be OK if you have a deep recess or narrow panels, but if you have wider panels and you want to open then up, they’ll stick out into the room. 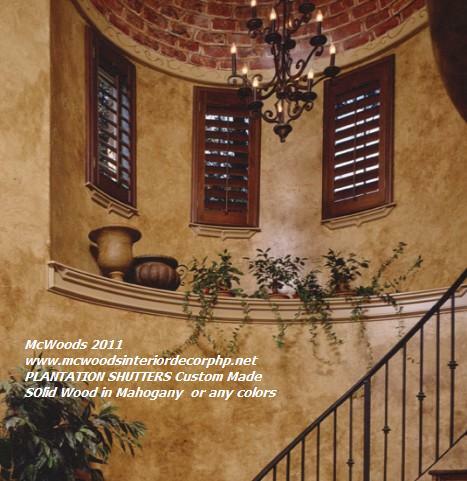 Copyright 2009 mcwoods interior decorator and contractor. All rights reserved.